It’s been an instant pot kind of week. I’ll spare you all the details, but it involved several boxes of Kleenex…..I hate colds and sinuses! The original plan was to do a beef stew for dinner. I had stew meat in the freezer and took it out to thaw. 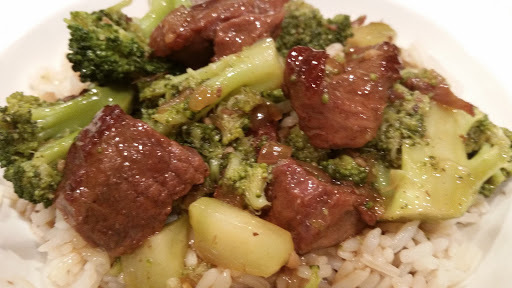 Just before starting dinner, I changed my mind and decided to do beef and broccoli instead. Typically, this recipe would use thin slices of beef, but the stew meat worked just as well. Select the saute function and when it is hot, add the olive oil. Bring to heat then add the beef, in batches, and saute until browned. Do not overcrowd the instant pot. Remove the beef and set aside. Add the onions and saute for 2-3 minutes until the onions are becoming tender. Add the garlic and cook for another minute. Pour the beef stock, soy sauce, brown sugar, sesame oil, and red pepper flakes into the instant pot, stirring and scraping to deglaze the pan. Return the beef to the pot and mix well. Lock the lid onto the pot, close the pressure knob, select manual setting and set for 20 minutes if using cubed beef. If using thinly sliced beef, set the timer for 12 minutes. In the meantime, lightly steam the broccoli. You want it to retain it’s color and crisp texture. I was afraid to add it to the instant pot because I can’t stand overcooked broccoli. Mix the water and corn starch in a small bowl. When the timer goes off, turn the instant pot off, cover the pressure knob with a folded hand towel and do a quick release of the pressure. Remove the lid carefully. Using the saute function, add the corn starch mixture and stir until it begins to thicken. 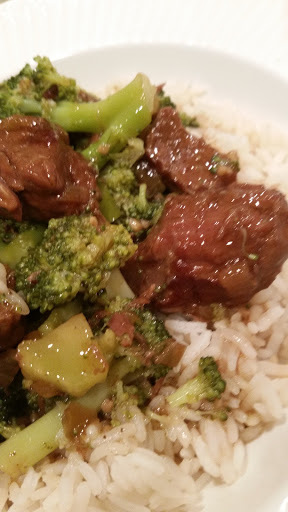 Add the steamed broccoli to the beef and stir well. What are your favorite Instant Pot meals? I’m always looking for new ideas.